Ever wished you came with a user manual? We did. So we set out to create one. The Striving Styles® Personality System is the first user manual for people! The theories and authors' work incorporated into the creation of the Striving Styles Personality System all shed light on the mechanics of the mind, and they show us what we can do to help ourselves to achieve our potential as human beings. The Striving Styles integrates the work of many leading theorists and provides you with a way to easily understand and leverage the functioning of your brain. It gives you the information you need to understand your motivations and needs, and to re-pattern your brain. It helps you to stop adapting and to begin to pursue your own path, becoming who you are meant to be. The Striving Styles Personality System integrates these theories and provides individuals and practitioners with a way to easily understand and leverage brain functioning. 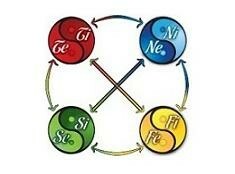 The eight Archetypes used in the SSPS are easy to relate to, and to understand what they mean to you in your life. 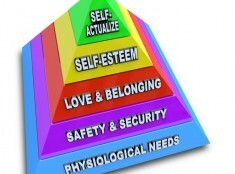 The Striving Styles Personality System is more than just an assessment. It provides you with a step-by-step roadmap for re-shaping your brain's neural pathways and for re-wiring the dysfunctional patterns that get in your way of becoming who you are meant to be. Learn more about the SSPS Developmental Framework and how you can use your whole brain to become who you are meant to be.